Robinsunne: Y is for yen - as in longing - will you swap with me? Y is for yen - as in longing - will you swap with me? Wow. My ATC notebook is getting really full. I can't wait for the swap next Wednesday. 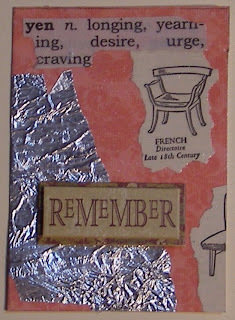 We will be making ATCs with poetry on them to celebrate National Poetry Month. (Go to the ATC page at robinsunne.com for details.) Will you swap with me? Almost all of this alphabet series is available for swapping - scroll down, find one that you like and send me an email at robinsunne@robinsunne.com. I will trade for any type of ATC, any method of construction.